Coated one side paper (C1S paper) is a kind of paper which is doing one side coated and one side uncoated. We also call coated one side paper as card paper. In common, coated side is for printing color or color images. The uncoated size is for printing text, B/W images, Pantone color or blank. Because paper’s coated side can show colors and photo shine and the uncoated side is good for writing. So the coated one side paper is used for doing book cover, postcard, presentation folder, paper box and so on. Besides the paper surface feature, there are different thickness of C1S paper. We have 200gsm, 250gsm, 300gsm and 350gsm card paper in our stock. 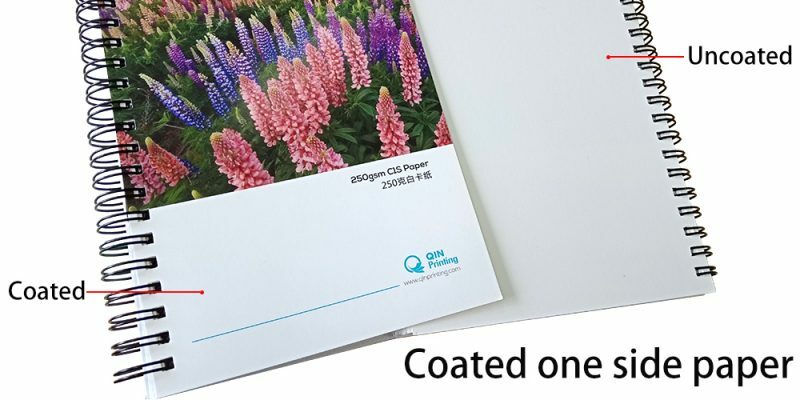 In most cases, 200gsm, 250gsm C1S paper is used for doing book covers and postcards. 250gsm, 300gsm and 350gsm C1S paper are used for doing different size paper boxes. For more coated one side paper information, please contact our sales experts. We can send paper sample manual to you for choice!